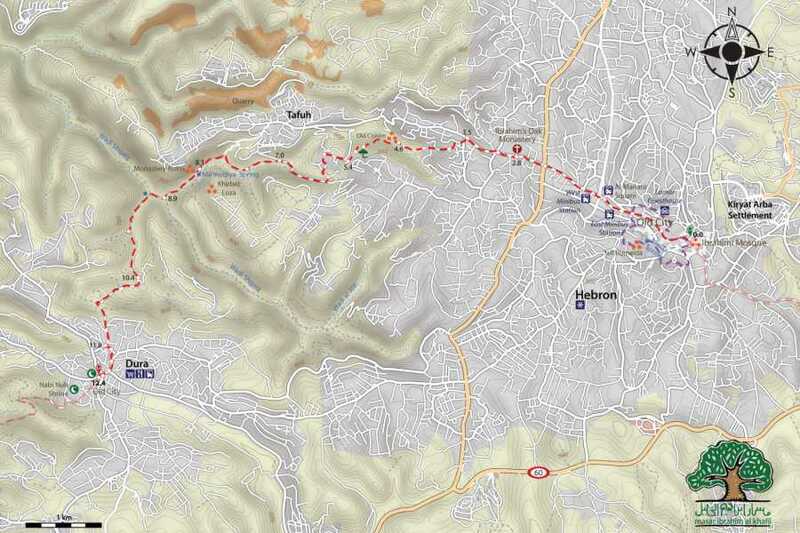 The Hebron to Dura day stage takes hikers from the busy streets of Hebron through agricultural fields surrounding the city and picturesque valleys rich in natural beauty and archeological sites. It begins in front of the Ibrahimi Mosque (Al-Haram al-Ibrahimi), the most important landmark in Hebron, where Ibrahim (Abraham), revered by three religious traditions, was buried alongside his wife, his son, grandson, and their wives. The path leads further through the souqs and alleys of Old City of Hebron, one of the only cities in the world today with a perfectly preserved twelfth century Mamluk infrastructure. 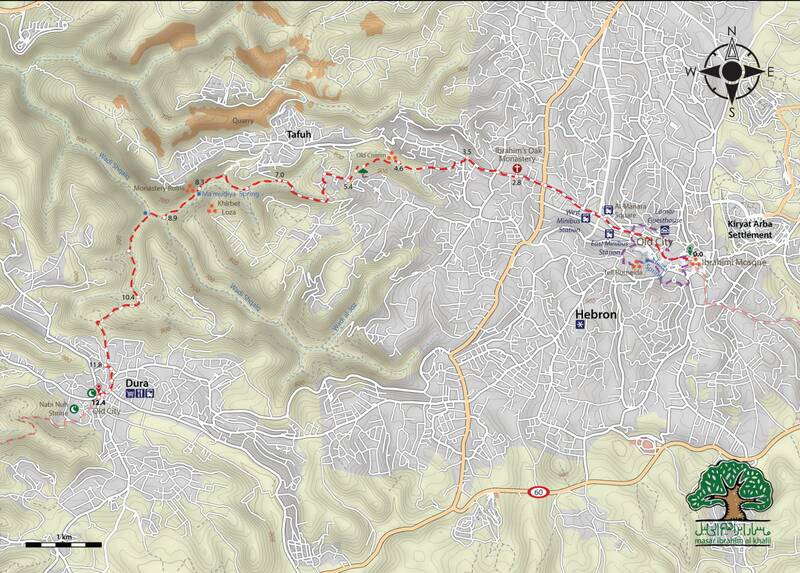 It also passes next to the Russian monastery, located in the suburbs of Hebron, containing Ibrahim's Oak. The legend says that at the foot of the tree, the prophet welcomed three strangers. After he had prepared them a meal and washed their feet, the three men revealed themselves to be angels who told him that his wife would give birth to a son. 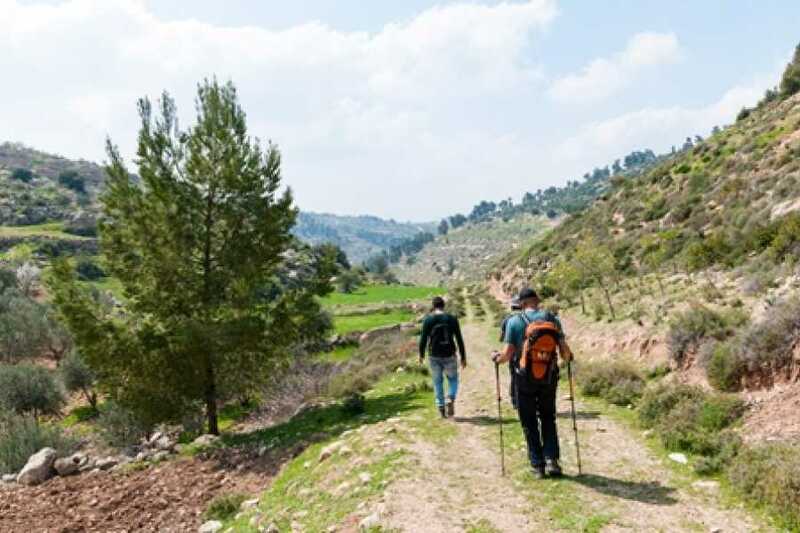 A shepherds’ path leads out of the city toward agricultural fields and natural areas covered with flora characteristic for Palestine’s central highlands climate region: trees like Terebinth (Pistacia palaestina) and Palestine Oak (Quercus calliprinos), the aromatic wild thyme (za’atar) and during the springtime various kinds of colorful flowers.